Our editor Dana Jaffe recently talked with Level Up about their long-lasting collaboration with buddhify. The Level Up team, who heads up our mobile development, is comprised of Allan Brown (Lead Developer), Raymond McGinlay (Systems Administrator), Aidan Doherty (Programmer), and Becky Alves (Project Manager). Below we chat with Becky about app development, the joy of the wheel functionality, and making meditation accessible. When did Level Up first get involved with the app? Raymond and Allan met Rohan at SiCamp initially and Rohan then approached Level Up towards the end of 2012 because he was looking to develop an updated version of the original buddhify app. New meditations were being recorded and Rohan was keen to create a really unusual interface that would both engage users and also be easy to use. We loved the principles behind the app and the look and feel provided by the designer so we jumped at the chance to get involved. Developing the wheel was definitely a challenge but a hugely satisfying one and it remains one of the apps that we are proudest to show off and talk about. What other types of work does Level Up do? We tend to specialise in developing bespoke technical solutions for clients with needs that cannot be served by an off the shelf solution. Due to this, we have worked on a wide range of websites and apps and it is rare that any two projects are the same. Recently, we have completed an app for an international hospitality company as well as a dedicated booking system for a not-for-profit social enterprise. We love the variety of what we do and it certainly means that we are never bored. How is buddhify different from your wider work? Our clients often come to us with a fairly rough idea which we will then help to develop into a technical product. Rohan and the buddhify team, on the other hand, had a very clear vision for their end product from the very start, together with a fully realised user interface and designs. Although I like to think that we contributed our own ideas to the end product, it was a pleasure to work with a team with such a thought out and considered concept. Over the years of working on this project, what have you learnt about mindfulness? Although mindfulness is much more visible these days, when we first spoke with Rohan we didn’t have any real understanding of what mindfulness was or involved. My initial expectation was that meditation could be helpful for some but was not really for me, based on my own vague expectations of mystical chanting and sitting alone in a quiet room. But buddhify provides a route to meditation that shows that is absolutely not the case. It can be incorporated into your everyday life with very little effort and demonstrable benefit (and no chanting!). Meditation can be used as a tool to manage day-to-day life and to learn to be more present in the moment. I was genuinely surprised after listening to the first few tracks and buddhify has definitely changed my understanding of what meditation is and can be. What are your favourite parts of the app? We all love the wheel! I am still delighted by the look and movement of the wheel. It brings me such joy and I can’t think of another interface that is as satisfying to use. With regard to the parts of the app that I use the most, it would definitely be the sleep tracks. I remember being a little taken aback the first time I met Lucy, who voices many of the sleep tracks in the app. It was slightly odd to be meeting the ‘voice’ that frequently sends me to sleep! What were the hardest parts of the app to do? Buddhify was built using React Native, which is a framework for building native apps that allows you to reuse code across different operating systems. This means that we only have to write the majority of the code once, with a few areas needing to be written specifically for Android or iOS. This can speed up development dramatically but ensuring that the various React Native, native code and web layers all communicate effectively, without slowing down the app, can be a touch tricky. Another big challenge when building apps is ensuring that the app works well across all the different devices available. iOS is relatively straightforward but there are countless device options for Android, all with differing specifications. This is absolutely not specific to buddhify but it can be a time-consuming issue at the end of development and is probably one of our least favourite tasks. What does it feel like to make an app that helps and is loved by so many people? We are incredibly proud of the app and delighted to have been involved in the development of a product that helps so many people. Not only does it look lovely but reading some of the reviews from people makes you realise how important the techniques and practises are and how the app has made them accessible to so many who may not have tried meditation otherwise. I’ve also been so surprised and delighted by the number of friends who have recommended the app to me, without knowing that we were involved in the development. I secretly love being able to boast that we played a part in bringing the app to life! The very talented team at Level Up has worked with buddhify since 2014. 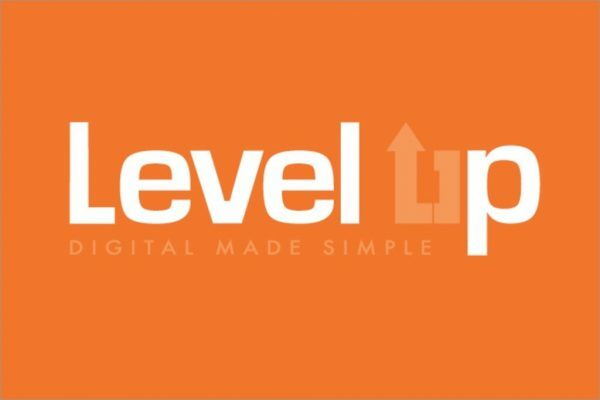 Based on just the other side of Glasgow from the core buddhify team, Level Up are specialists in a wide range of web & mobile technologies and should you ever get the chance to work with them you will be very lucky to do so.